I haven't been posting lately because Boy and I are on holiday in Italy. We are staying with friends in a large farmhouse in Tuscany that supposedly has Wi-Fi service, but no one seems to know what the required password is to use it. So while I've visited various internet cafes in the area from time to time to check up on comments and post them, I have been admittedly more focused on visiting the region's wineries and towns (we spent a delightful morning in Siena yesterday), and lolling around the pool. That is, when we aren't dining on the marvelous food or drinking the divine wines that one dreams of when fantasizing about visiting Italy. But all good things must come to an end, at least for Reggie, and I shall be back in posting mode again shortly. In the meantime I am working on a story, the only other post that I am planning about this trip, about our visit last weekend to the Mario Praz Museum in Rome. It was quite an experience, and I look forward to sharing it with you, Dear Reader. “Privilege” has long been one of the blogs that I check in to regularly to follow the writings and observations of its author, Lisa. I was initially drawn to her blog by her description of it being the musings of a High WASP, with a point of view that such a vantage point provides. However, what keeps me coming back for more is that Lisa doesn’t only focus on the “glory days” of our shared people's heritage, but rather looks forward, embracing change—as we all must—while honoring the past. It’s a good combination, I think, and something Lisa does with grace and humor. One of the pleasures of blogging is that it provides the opportunity to exchange views with and occasionally meet fellow bloggers and commenters. Recently, in planning a business trip to California, I realized that I had a spare evening in San Francisco, where Lisa lives. So I contacted her and invited her to join me for dinner while I was there, and was delighted to have her accept my invitation. 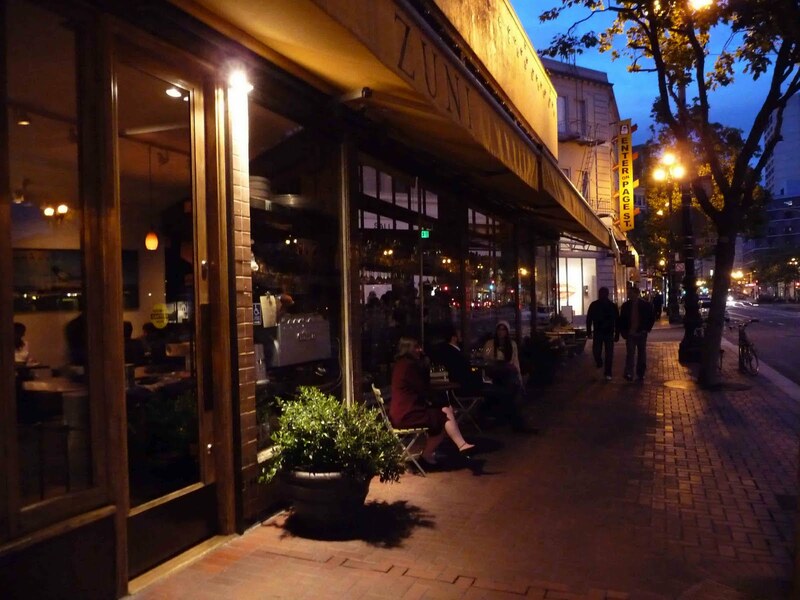 We met at Zuni Café, a favorite restaurant of mine in the City By the Bay, and quickly fell in to an easy and spirited conversation where, at times, it was difficult to finish a sentence or complete a thought because we both kept exclaiming “Yes! I know what you mean, that’s exactly what I think about [fill in the blank]!” Instead of meeting a stranger, I felt as if I were getting together with a long-lost friend or cousin where we were able to pick up the thread of conversation right where we had left off years ago, as if the intervening years had never happened, our mutual language and vocabulary intact. Over dinner Lisa and I hatched a plan to guest post on each other’s blogs, with the subject being college reunions, and our own 25th reunions in particular. 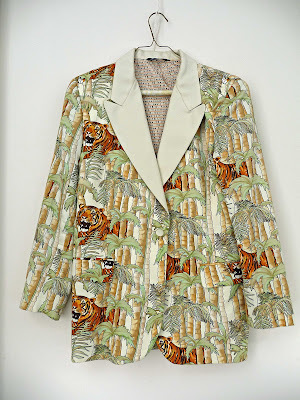 Herewith, Dear Reader, please find the guest post that Lisa has written about attending her 25th reunion at Princeton. It is funny, charming, and thought-provoking—just like its author. Once you've read it, please do link over to her blog, and read mine. On May 27th, the masses gathered. I sat on my sofa, writing to you all. But across the country, my orange and black cohort gathered. And wore really silly clothes. Oh, wait, please excuse me. 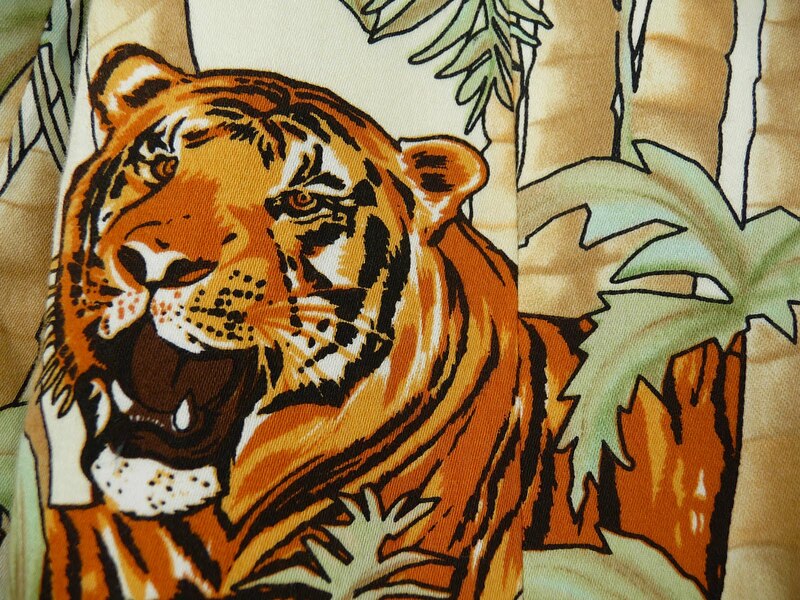 I have forgotten my manners, overcome by visions of Tigers in umbrella hats. Hello. Nice to meet you. My name is Lisa, and I write a blog called Privilege, where I natter on about style, rapture, and the High WASP culture. Last month Reggie was so kind as to invite me to dinner in San Francisco. We had a wonderful time, laughing, comparing notes, eating oysters. Drinking gin martinis. By the time dinner was over, we had agreed to exchange guest posts about our respective 25th college reunions. Blame the oysters. Or the martinis. But forthwith, the story of a Princeton University 25th Reunion. And some truly hideous pieces of apparel. I graduated from Princeton in 1978. And didn't attend a Reunion until 2003. I didn't stay away out of hostility, or trauma. I loved the place. Just have never been much for large groups of people wearing orange hats. Or beer. I'd moved to California. But the 25th was different. We were exhorted to attend, friends were going, the timing was right. I should have known what was up when this arrived in the mail. Princeton Reunions are huge. 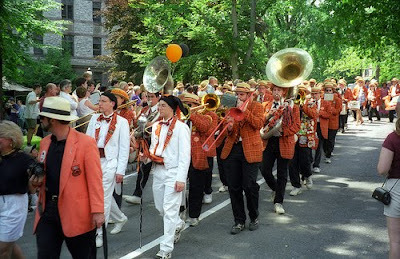 By the time you read this, 20,000 people will have attended Reunions 2010. Tents cover the campus. If you are a major year, 10th, 25th, 35th, you get your own tent. If you are so enthusiastic as to return for your 19th, you share tent, bands, and beer with the 20th. On the other hand, every class has their very own class uniform. If you can use the word, "uniform" for outfits that include orange and black madras, rampant tigers, or other graphics in poor taste. The Class of '78s jacket was even worse than the hat. If only because it was bigger. More tigers and extra palm trees. And off to New Jersey I went. Self-satisfaction. I must be great if I went to school HERE. Concomitant anxiety, of course, I can't be as great as all these fabulous people. Respect for remembered excellence. We revisit high points of thought, and shake our heads in happy admiration for professors from days gone by. Release from constraints. Costumes allow High WASPs to drop their dignity, if not their pants. Some of us are conflicted about our privilege, uncomfortable with the implications of elitism, still proud. We can relax. Awe of tradition. Oh my god, F. Scott Fitzgerald. Old buildings. Actual ivy. Awareness of change. America's evolution seen clearly against those old buildings. So I spent my days with wildly clever people, laughing at their banter and impressed by their accomplishments. I wore my silly hat and jacket, giving up my High WASP aesthetic religion. Whither clean lines? Whither classicism? I walked again on the paths between courtyards where thousands of students have walked. Everything paled in comparison to the P-Rade. Princeton Reunions culminate in a P-Rade. All the classes gather at the top of Princeton's campus, in a long column, dressed in those silly costumes. The Princeton band leads the crowd, along with the oldest returning alumnus. For now, it's the oldest 'nus. Eventually I suspect, given statistics, it will be a 'na. Although the P-Rade sends the classes down campus mostly in order, oldest to youngest, the 25th Reunion class gets to go first. This is almost certainly because historically we are the largest donors. No matter. Going first was wonderful. Wonderful because the rest of the classes, as they wait to make the walk, line the P-Rade path. So the 25th walks, with the oldest classes cheering us as we start, all the way down the campus, to where finally the entire graduating class crowds around the green. And cheers the P-Rading alumni. Could have been terribly self-congratulatory. Didn't feel that way. I remember starting to parade. Walking with women I had known for over 25 years. Band playing. Light rain falling. To either side, men in orange blazers of one sort or another. At the top of the hill they were all white men. Then some Asians, some African Americans. Then women. It felt pretty good to see the first groups of women. We were only the 5th year of co-education. Old habits die hard. As we rounded some gray stone curve or other, the view widened. And there was the class of 2003. All 1,000 of them. The Reunion blazer had morphed to a karate jacket, still orange and black, still tiger-infested. Rainbow Coalition banners waved. It kept on raining. But I had a moment where one's heart rises in one's chest with hope. I know all is not perfect in meritocracy heaven. Still in America some children are brought up in ways and situations which preclude going to a place like Princeton, even if they might otherwise have flourished there. But this LA Times article on High WASPs and the Supreme Court says it well. Please us put aside the mention of ethnic superiority as a terrible vestige of a less-evolved time. That's an old way of thinking, and impolite, besides. My sister and I believe, and Reggie agreed with me so readily I feel we must be right, President Obama is a High WASP. A High WASP in the world of 2010. It may not be fashionable, or High WASP approved, to feel moved by thoughts of opportunity. Possibly we who live in privilege ought to spend all our days atoning; but I think one can be a patriot and still believe much of the change over the last half century has been for the good. Except the part where it's OK to show your stomach in public, and, yes, I'm queasy about eyebrow piercings, but still. Evolution can take us forward. In fact, you could argue that the American education system is the absolute best thing about our country. 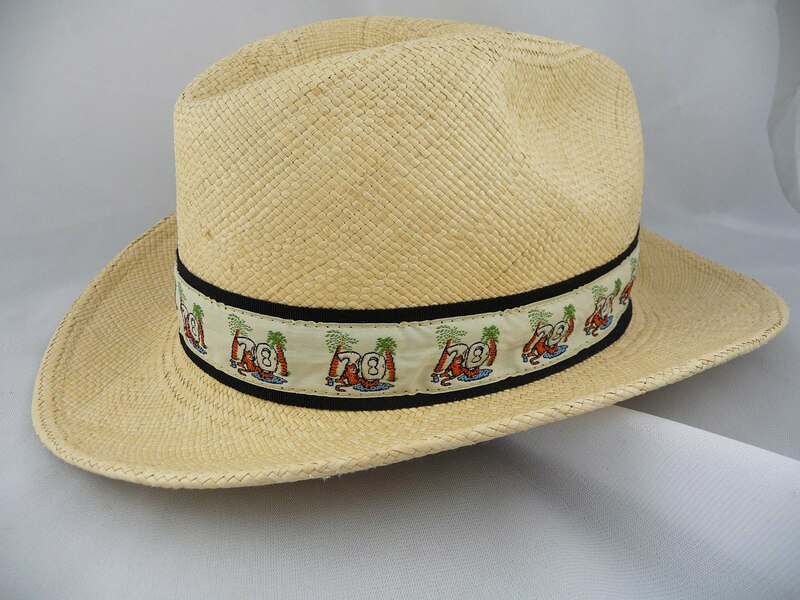 I concede, however, the hats are dreadful. Images: hat, jacket, tyger burning bright, me. P-Rade, Joe Shlabotnik's Flickr stream. As I reported in my last post, Boy and I recently gave a bruncheon party at Darlington House. We had a delightful time doing so, and we particularly enjoyed the mix of guests who attended it, some of whom we were meeting for the first time. I am happy to report that everyone who attended the party was charming, well-dressed, and marvelous company. Boy and I had great fun and were saddened when the party inevitably drew to a close, when our last guests departed. Imagine our pleasant surprise when three of them returned but fifteen minutes later, and the party was able to resume, albeit on a much cozier level! It turned out that two of the three, a married couple, had missed their train back to New York, and the next train didn't leave for several hours. The third of the three was their host for the weekend, and had given them a ride to the station. Needless to say, we were absolutely delighted to see them! We grabbed another bottle of Prosecco and a box of Li-Lac chocolates that another guest had thoughtfully arrived with, and we settled in to the screened porch, where we spent several delightful hours in amusing and clever conversation, interspersed with much laughter. The highlight was when, at one point, the husband and Boy delightedly realized they both knew the lyrics to several of the songs from "The Producers" and fell into spirited song, much to the pleasure of the wife and me. It was much fun. 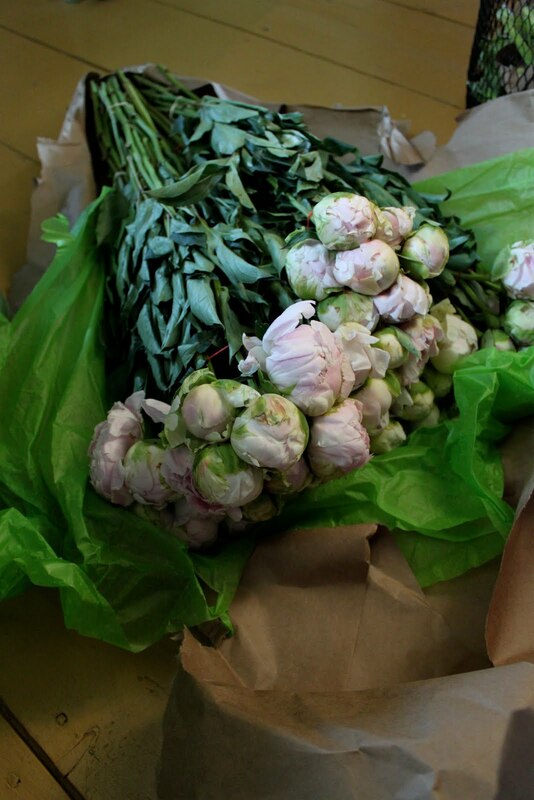 The next day, back in the work-a-day world, I received a phone call from Boy that flowers had just been delivered to the apartment, a gift of the couple. And not only that, but they were from Zeze, one of Manhattan's premiere florists and a great favorite of those who appreciate such things. How deliciously and extravagantly thoughtful, I said. I couldn't wait to see them. When I opened the door to the apartment, I was first met with the bouquet's sweet and heady fragrance, a pleasure indeed. And what a pretty arrangement I found! 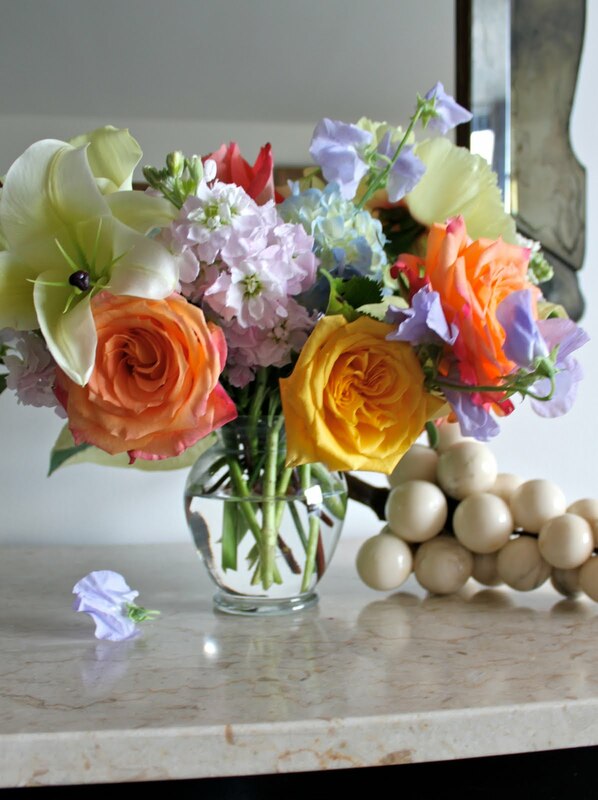 A mixture of roses, peonies, hydrangea, lillies, and sweet pea, all in lovely late spring colors, and in a discrete colorless glass vase. How splendid. And what a pleasure it was to receive it. On top of that, it came with this charming note: "Dear Boy and Reggie, Thank you for a wonderful afternoon full of our two favorite things--sparkling conversation and sparkling wine. We look forward to sharing many more of both! With warmest wishes, Emily & Andrew" How about that! Reggie believes that a gift of flowers presented by an arriving guest at the onset of a party is more of an inconvenience than a pleasure, particularly if they require attending to; such flowers are inevitably relegated to a sink or left to wilt during the party, thereby defeating the intended purpose of such a gift. 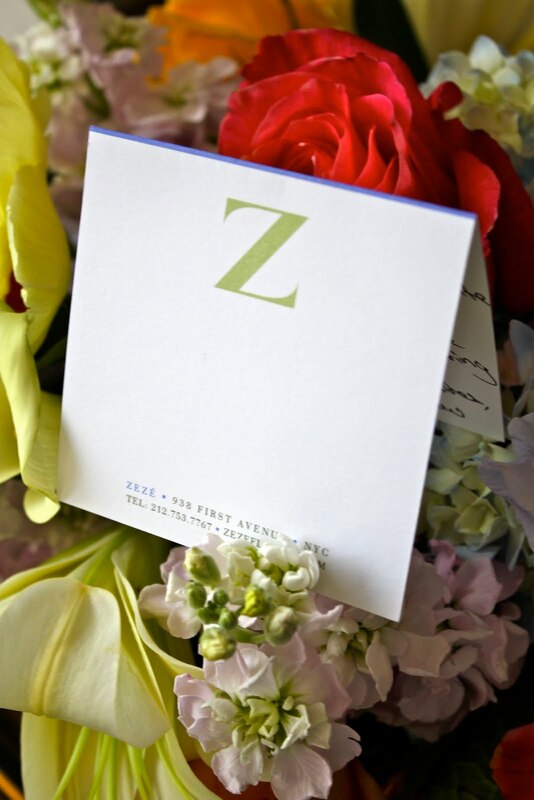 When giving a gift of flowers, Reggie recommends that his Dear Readers follow the example of Emily and Andrew, and send them as a thank-you after an event rather than arriving with them at the beginning of a party. A gift of flowers is a delight indeed, and even more delightful when it is delivered to the recipient when he has the leisure to enjoy them. And that means after the party. This past Sunday, Boy and I threw a bruncheon for twenty at Darlington House. We did so, in part, because friends of ours who live near us in the country were having a house party that weekend, where we knew a number of the guests. We were, ourselves, the happy guests of our friends at their table at a large benefit dinner on Saturday night, and we thought it would be enjoyable for all concerned to continue the festivities at our house the next day. So we organized a bruncheon party at Darlington House and invited the house party to join us. To make it more fun, we also invited a dozen or so of our own friends in the area, and I am happy to report that the party was a jolly affair with a grand time had by all. While we engaged our most favored caterer to provide the food, drink, and staff for our party (and I must say they did an exemplary job of it), Boy and I did all of the other preparations, including the flowers. We wanted to make it a special event for our guests and decided that we should go to the flower district in Manhattan on Friday morning to buy flowers to decorate Darlington House. 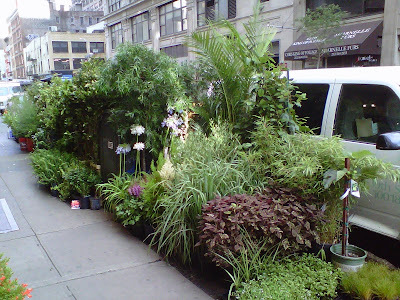 So we fired up the jalopy bright and early Friday morning and drove over and down to West 28th Street in Manhattan, where we made a beeline to Fischer and Page Ltd., our favorite vendor of fresh wholesale flowers in the city. 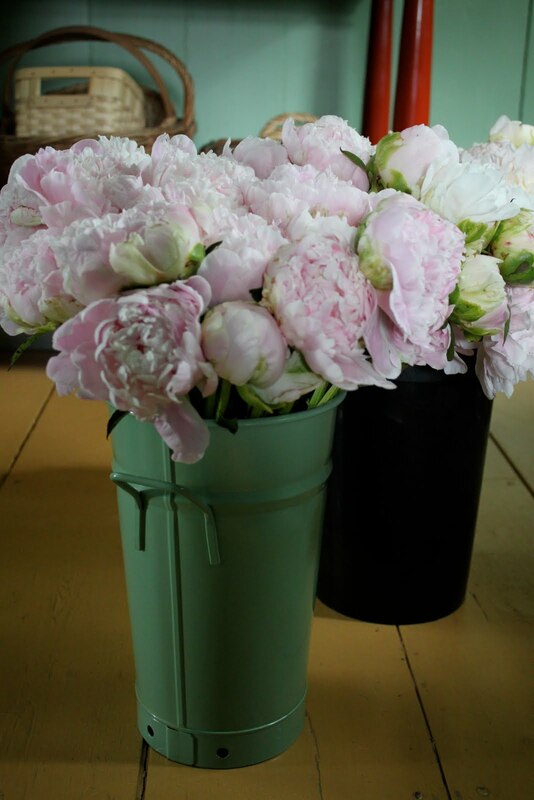 While at F&P we were assisted by the ever affable and most helpful Chris Demeo, who helped us select bunches of branches of blossoming mountain laurel to fill an urn on our dining room table, masses of peonies for the drawing room, and an embarrassment of parrot tulips for the table in our entry. 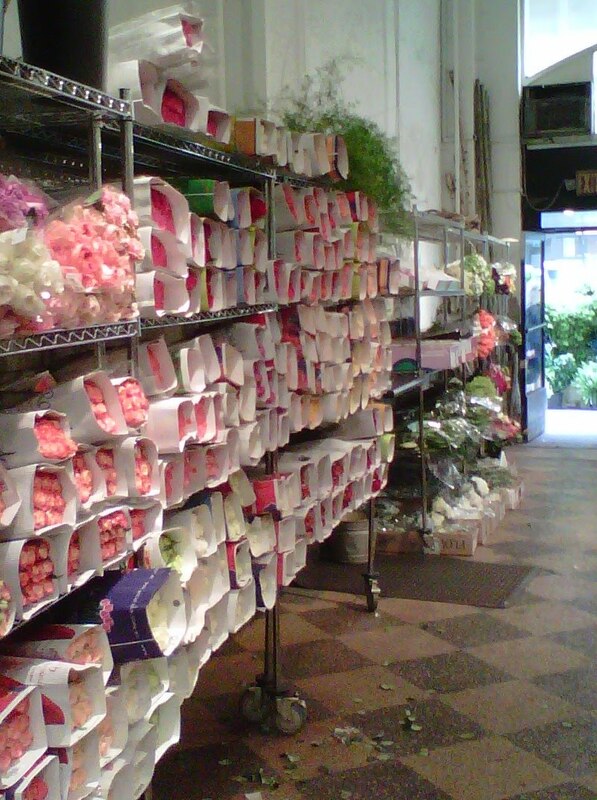 I highly recommend that you, Dear Reader, seek Chris out should you require the services of a wholesale flower vendor in Manhattan. I am listing his contact information at the end of this post. 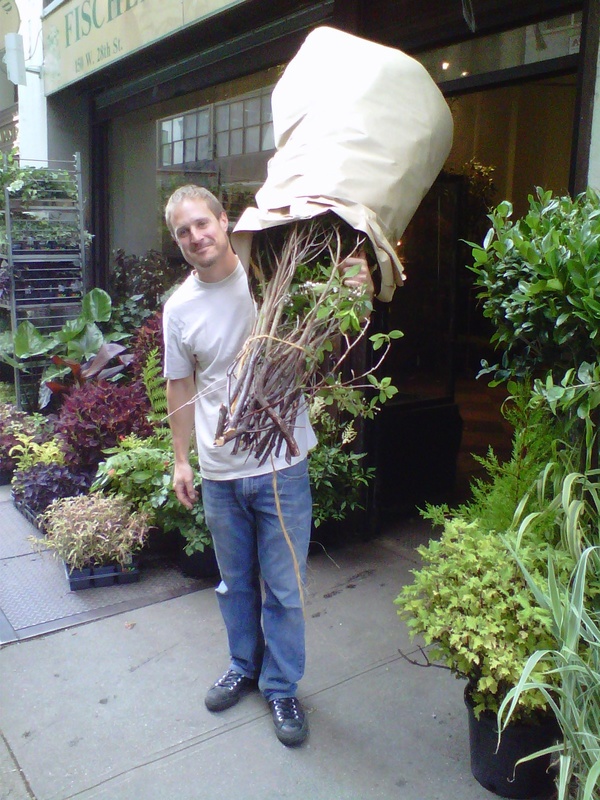 Once we arrived at Darlington, Boy set to work preparing and conditioning the branches and flowers, so that he could then arrange them the next day. When buying cut flowers it is important once you get them home that you recut their stems and let them sit in containers of fresh water for at least several hours before arranging them. Not only is this conditioning reviving for them, but it also ensures a longer life for the flowers for you to enjoy. 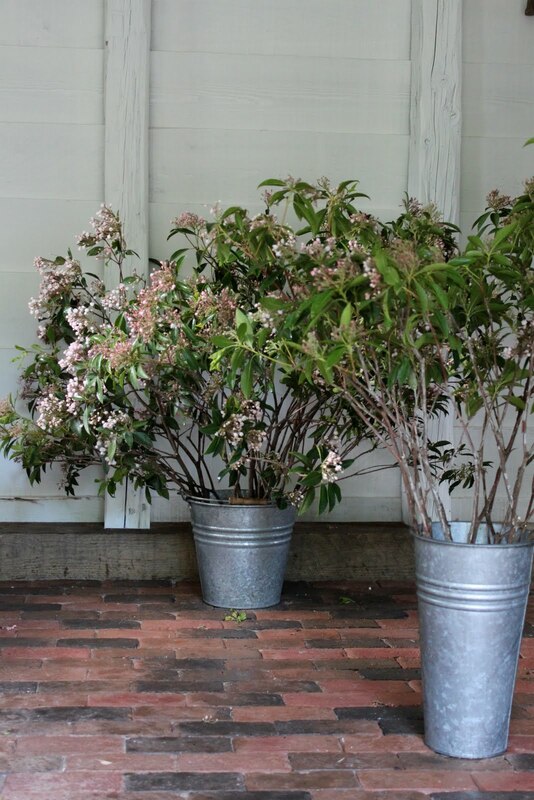 Boy's first task was to prepare the mountain laurel branches, which required pruning them of any dead wood and non-flowering parts, clipping their stems, and placing them in containers of water to condition. 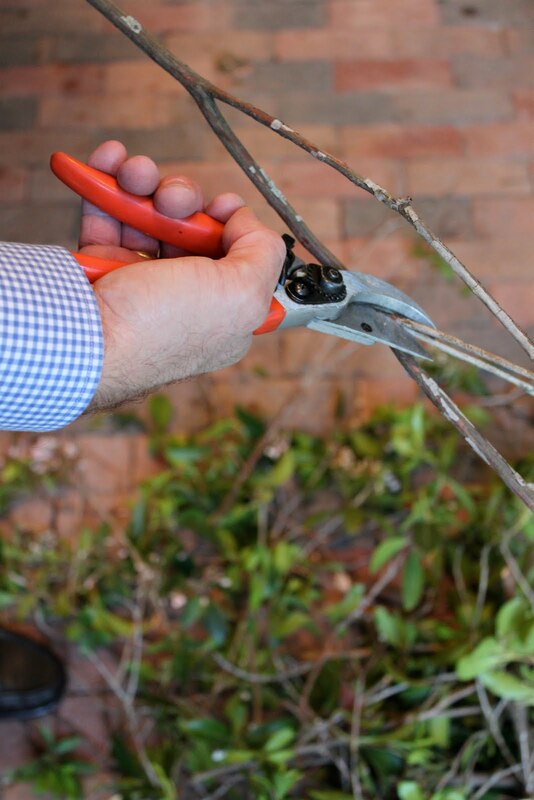 Of course this required the necessary tools, including a pair of Felco pruning shears . 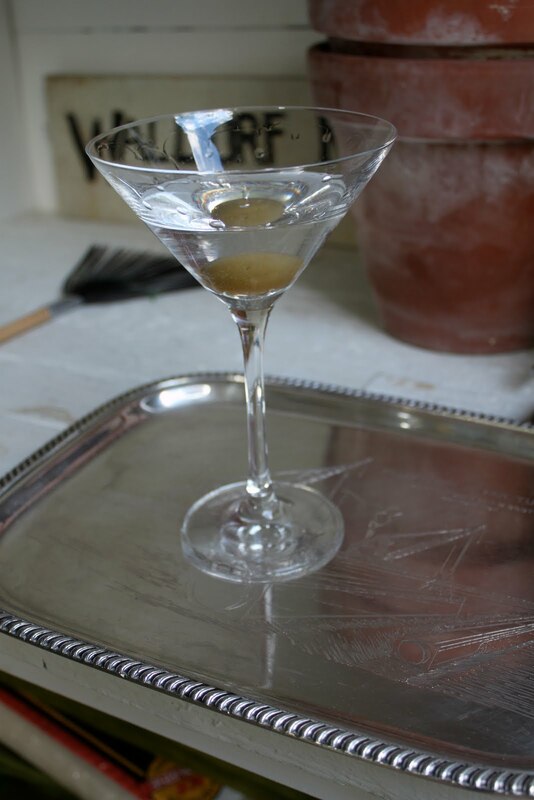 . . and a gin martini for much needed fortification. It was after five o'clock, after all. 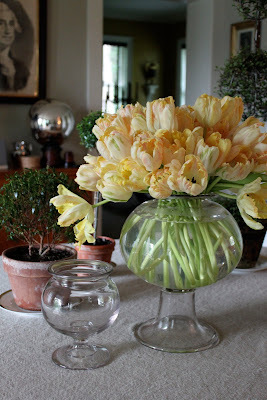 After finishing the task of preparing the mountain laurel, it was time for Boy to move on to the tulips and peonies, which he took care of in our flower arranging room inside the house. And where would we be without our little helper, a.k.a. Pompey the pug? 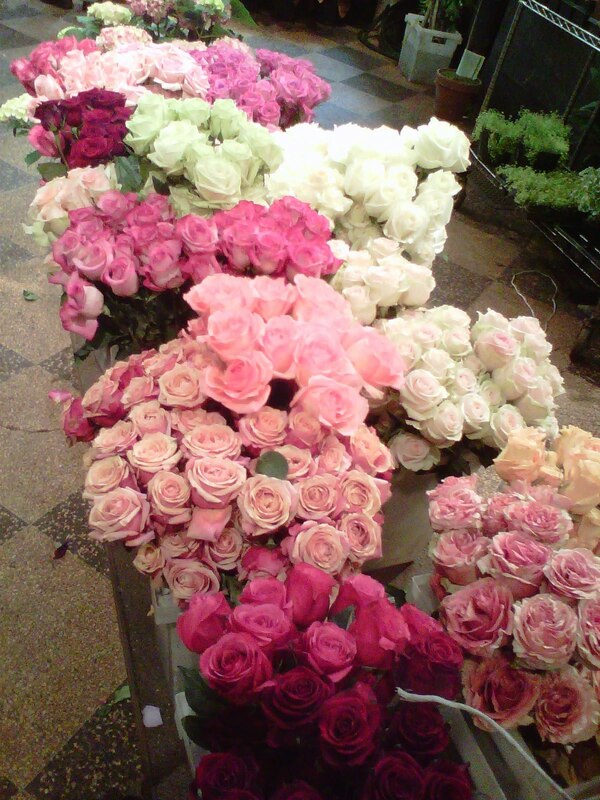 The next morning, with all of the flowers prepared and conditioned, it was time to select the vessels. Boy is fond of blown-glass, footed fish bowls, and has built up an impressive collection of them in numerous sizes. Most of his were made in the nineteenth century, and they make quite marvelous containers for cut flowers. 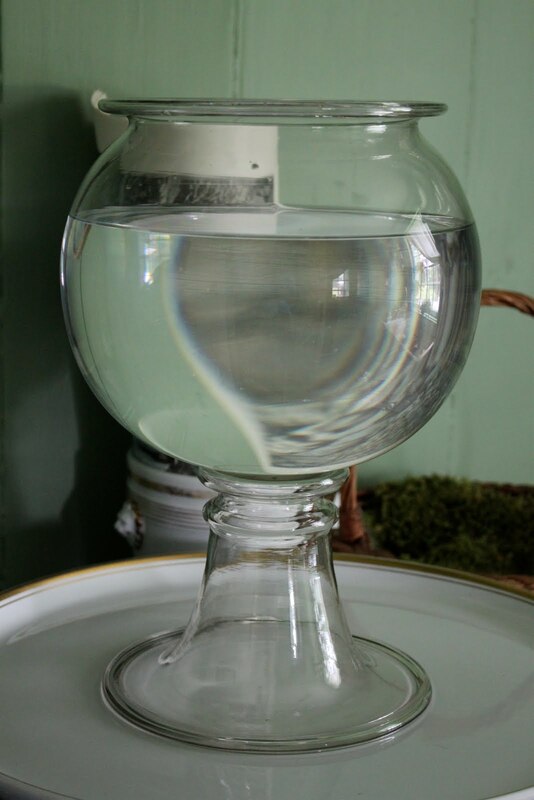 While generally referred to today as fish bowls, they were actually more often originally used to hold leeches for medicinal bleeding, a common practice up into the early twentieth century. The reason that they have a lip at the opening of the bowl is to allow for tying a piece of cloth over it so that the leeches can breath but can't escape. 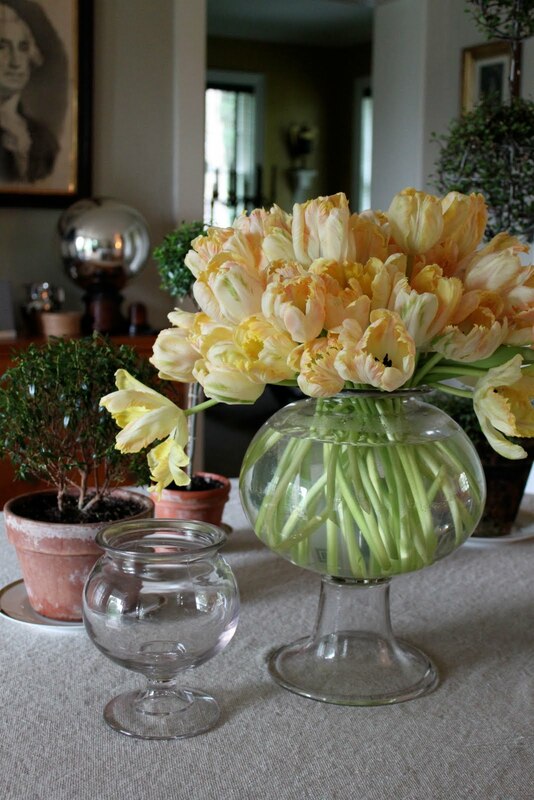 The bowl in the preceding photograph is shown standing on a Paris porcelain lazy susan that Boy uses when arranging vases of flowers or trimming topiaries, rotating it as he goes. Despite this bowl's rather gruesome original occupants, don't you think the tulips look pretty in it, sitting on the table at the entry to Darlington House? We bought the small one next to it at M. S. Rau Antiques on our recent trip to New Orleans. And here is a photograph taken of the monumental display of peonies that Boy arranged for our drawing room. 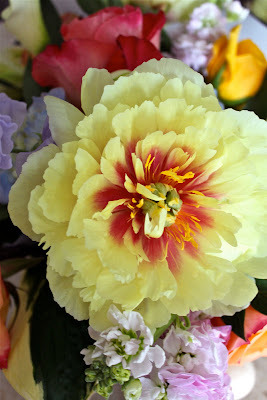 Their scent was heavenly and permeated the house. We weren't able to get a good photograph of the arranged mountain laurel branches, which Boy had placed in a cast-metal urn on our dining room table, to handsome effect. That was because the weather was overcast and gloomy over the weekend and there was, unfortunately, not enough light in the dining room to get a good image of the branches. Despite that, they were quite lovely for the party. 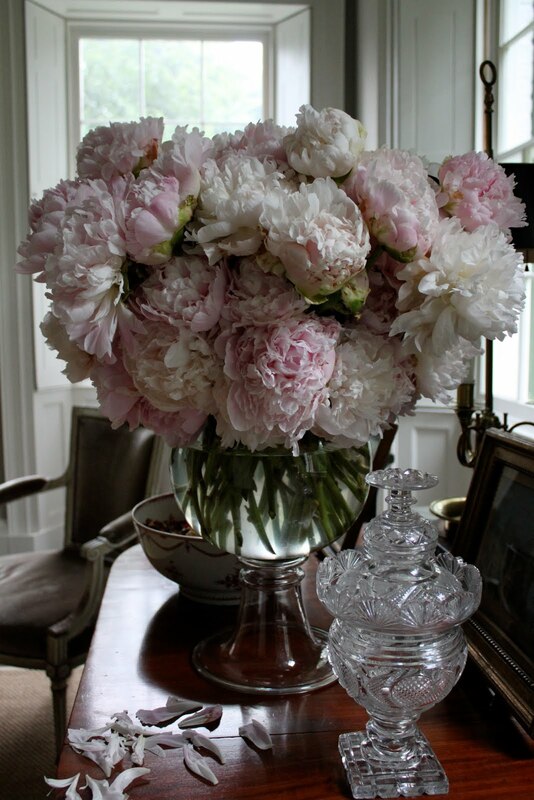 Pretty flowers are always admired and appreciated by guests, and I highly recommend that you take the time and effort to feature them when you throw a party. It will make the gathering more festive and special for those you are entertaining, and you will be able to enjoy their beauty long after your happy guests have reluctantly departed. Several weekends ago Boy and I attended an auction at Stair Galleries in Hudson, New York, only several hours north of Manhattan. The auction was held on a Friday evening at what Stair calls an "Exposition Sale," which is its equivalent of a Christie's House Sale or the Arcade sales that Sotheby's used to have. These are bread-and-butter, "move-the-merchandise" sales, where Stair unloads what are generally lesser-quality decorative odds and ends that come with estates and that aren't included in the auction house's higher profile weekend sales. Consequently, it is possible to find hidden gems among the offerings. We've had good luck at Stair's Exposition sales, and we were particularly successful at this last sale, where we acquired, among other things, what was catalogued as an Empire-style Brûle-Parfum. 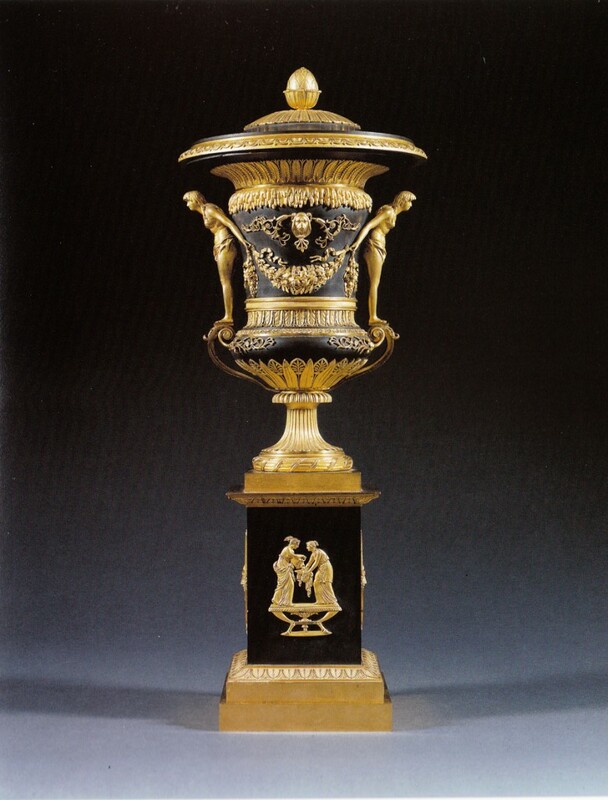 Brûle-parfum translates literally as "burnt fragrance," and is the French term for an incense burner, or censer. We are convinced that ours is a first-period example made in bronze in a classical style popular in the late eighteenth and early nineteenth centuries, when burning incense in such pretty vessels enjoyed a vogue among European fashionables. Although the lot was catalogued as "-style," suggesting that the piece may or may not be "period," we think it was likely made in the first quarter of the nineteenth century and is not a later reproduction. But it was only after we took it apart and cleaned it that we came to this conclusion. 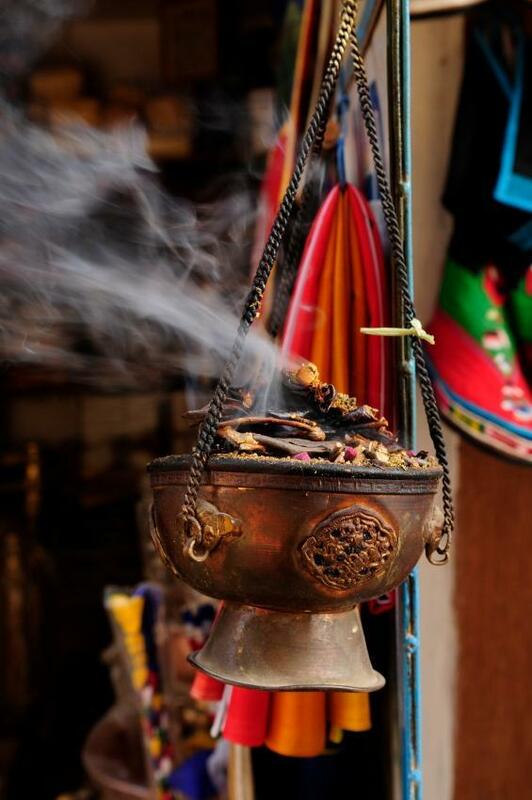 Incense has been burned since ancient times, originally for spiritual and religious purposes, and later for secular ones. Thought to have originated in China, the use of incense spread via the Spice Trade routes to the west, arriving in Europe during the days of ancient Rome. Incense has been used in the Western world ever since, enjoying a resurgence of popularity during my lifetime, first during the Eastern-obsessed Hippie era of the late 1960s--when every Pier One store and head shop sold it--and more recently during the aromatherapy craze. 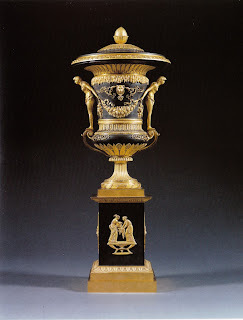 In researching this essay I came across examples of other classical bronze brûle-parfums made in the late eighteenth and early nineteenth centuries, from Russia, France, and England. 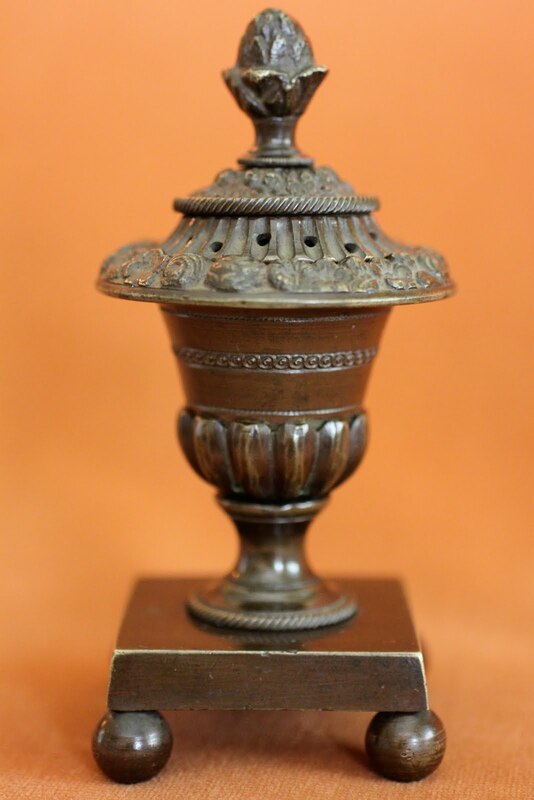 Some of them are extremely fine, as can be seen in the preceding photograph, and are far grander than our little burner, which as shown in the following photograph stands only 4 3/4 inches tall. Boy took a picture of it next to a playing card to illustrate its diminutive size. Just as the candelabra we bought at an earlier Stair Exposition sale needed cleaning, so did our little incense burner. 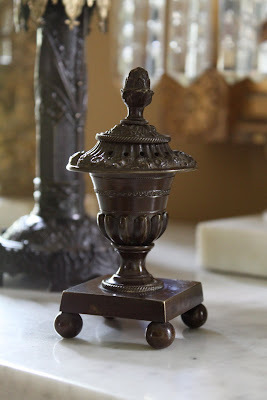 And like the candelabra, our censer came apart easily for the task. Boy washed it with warm water and dishwashing liquid, and used a toothbrush and a wooden skewer to remove the grime and residue that clogged the ventilation holes. I think our diminutive brûle-parfum looks marvelous--particularly now that it has been cleaned. 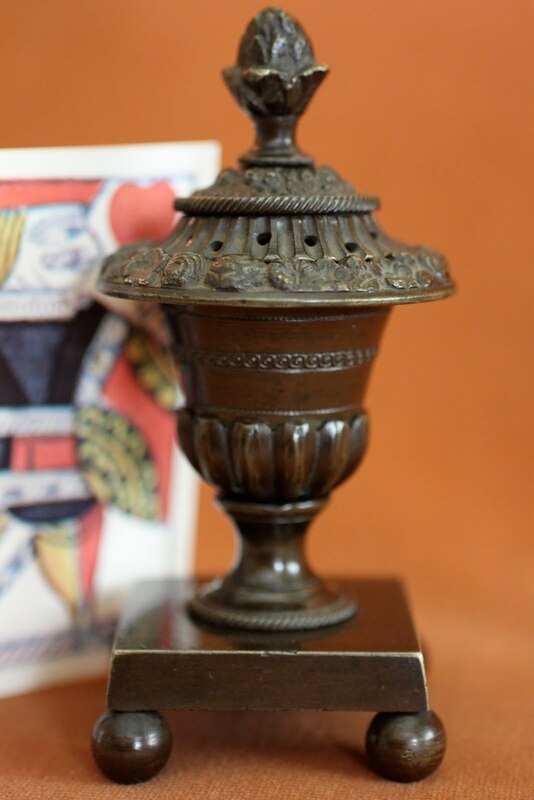 I can't wait to buy some incense and burn it in it. Reggie is one of the legions of bloggers who is a devotee of Belgian Shoes. These iconic, soft-soled slippers, known as Belgians, have a long-time, cult-like following among the Social Register set and fashion cognoscenti, and more recently among certain lifestyle bloggers. They are available in this country today only from the carriage-trade Belgian Shoes store on East 55th Street in Manhattan, and also from the company online. The store isn't all that much to look at, as it sits in a nondescript building on a side street, and is very plainly decorated, if one could call it decorated at all. But what treasures are to be found inside of it! 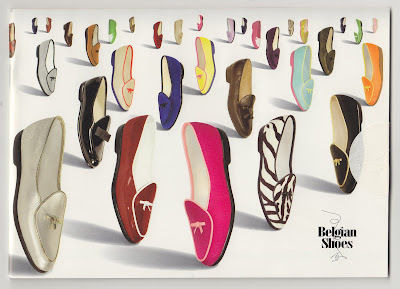 Belgian Shoes was founded in the 1950s by Henry Bendell, a nephew of the founder of the Henri Bendel store in New York (and who was, himself, once president of that fabled retailer), and their shoes are still hand-sewn to this day in the country from which they've taken their name. The store is open only from 9:00 a.m. to 4:30 p.m. on weekdays, and from 10:00 a.m. to 3:00 p.m. on Saturdays. They do minimal advertising, only in The Wall Street Journal and Quest Magazine, and the shoes are mostly sold by "word of mouth" to repeat customers and those introduced by same. Not surprisingly, they are rather expensive. Belgians have been the subject of countless blogosphere postings, including a recent one by Admiral Cod. While it's not that I've got much to add to the volumes of what has already been written about these addictive slippers, I do feel compelled to write about them here because, well, Reggie believes he is the one who really discovered Belgians in the first place . . .
. . . at least among a group of friends he once had, but doesn't run with anymore. But long before that, I first learned about Belgians shortly after moving to New York after college, thirty years ago. That is when I met and befriended a high-tone decorator named Harry who I am no longer friends with for reasons that are known to him but remain a mystery to me to this day. I guess I did or said something off-putting, but Heaven knows I don't recall whatever it was. Ah well, life goes on. Anyway, Harry wore Belgians almost all the time, as certain swell-New-York-lifelong-bachelor-decorator types are known to do, and insisted that I make a pilgrimage to their store on (then) East 56th Street and buy myself a pair or two. Being an open-minded chap I took his advice and did so. I've been a devotee ever since. In fact, I'm wearing a pair as I write this post that you are now reading, Dear Reader. One time Harry and I were out on the Lower East Side of Manhattan, where we were, admittedly, doing a bit of slumming. We had gone out to a boozy dinner at the then white-hot fashionable Bowery Bar, and were standing on a street corner afterwards, discussing what to do next. As we stood there, up towards us came a stumblebum, hand outstretched, begging for change. As I reached into my pocket, Harry leaned over to me and said, sotto vocce, "The shoes, check out the shoes!" and motioned with his head toward the feet of the supplicant in front of us. I looked down at the fellow's feet, and saw, much to my surprise, that he was wearing what appeared to be a brand-new pair of Belgians. The incongruity of this was, to put it mildly, astonishing. "Where did you get those shoes?" I asked the bum. He responded, "Do you like them?" "Why, yes I do like them," I said, "but tell me, do you know what those shoes are?" I asked. "They're comfortable, that's what they are," he said. I responded, "Yes, I'm sure of that, as I have the same ones. But those are expensive shoes, and not usually seen in this part of town. Where did you get them?" He said, "I got 'em at the Mission. They've got lots of good stuff there they give away, for free. You should check it out, you might find something you like there, too!" Harry and I roared with laughter at this, and I said, "I'm sure that you are right, my good man, given what's on your feet." I then handed him a dollar, and off he wandered into the night, wearing his Belgian Shoes. 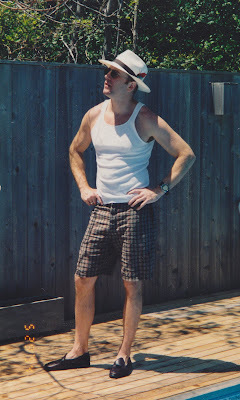 Several years later I took a share in a beach house in Fire Island Pines and fell in with a fast party-boy set that found my choice of footwear to be almost as amusing as Harry and I had found what the Bowery bum had on his feet that night. At the time, the prevailing shoes of choice in the Pines were decidedly more plebeian in origin than my favorite slipper. During the better part of the decade I spent going to the Pines I don't recall ever seeing a person there, other than myself, wearing Belgians. Admittedly, Reggie was a bit of a fish out of water in that particular community on Fire Island. For, on the other hand, when he visited friends in East Hampton it was, at times, difficult to find someone who wasn't wearing Belgians. But it was not until Boy and I bought Darlington House that my fondness for Belgians truly became an addiction. 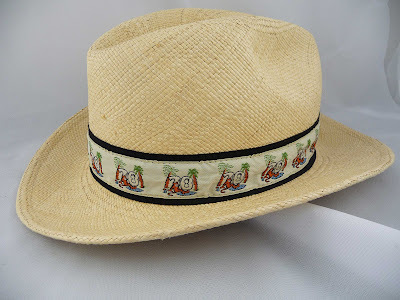 As my readers know, Darlington is an old house and in the country, and for much of our occupancy has been a drafty and sometimes chilly place to hang one's hat, at least when the weather turns cool. Under those circumstances, having a comfortable house shoe to slip in to when coming in from a sometimes wet, muddy, or snowy outside is advisable. That such a shoe should have a soft sole is desirable, too, when many of the floors in said house are wood. And that's where the genius of Belgians comes in. Easy to slip in to and out of, they are supremely comfortable to wear, and their soft soles are perfect for silently traipsing through Darlington's rooms. Part of the pleasure of wearing Belgians, aside from their comfort, is that they have tone: one doesn't often see them off of the UES/Greenwich/Hamptons/Palm Beach/Hobe Sound axes. Of course there are other, more off-this-beaten path enclaves that one occasionally encounters a Belgians-wearing fellow traveler, such as Far Hills, Lake Forest, Grosse Pointe, Wayzata, Hillsborough, Santa Barbara, Pasadena, River Oaks, Highland Park, Mountain Brook, Buckhead, Charleston, Middleburg, Chevy Chase, Gladwyne, New Canaan, West Hartford, and Brookline . . . just to name a few. Boy and I have, between the two of us, eight pairs of Belgians that we keep at Darlington, in assorted colors and leathers. We wear the soft-soled "Mr. Casual" model, the only one worth owning as far as I'm concerned. We each have several more pairs in our city apartment, too. Boy also keeps a pair of Belgians (which he calls "Belgiques") in his office that he brings with him to wear in clients' recently installed houses or apartments, where the occupants often initially go shoeless or wear slippers to protect their new (and rather expensive) polished floors and handmade carpets. I don't usually wear my Belgians when out and about, as I consider them to be primarily a house shoe. I rarely wear them when leaving Darlington's property, and almost never out in the city. I will admit to occasionally wearing mine when making a quick trip to the corner for a carton of milk, or when taking Pompey out for a discrete morning constitutional, and I sometimes change into them for a long plane ride. However, that's about the extent of my public wearing of Belgians. While I think women can look marvelous wearing them when out and about (and the color combinations available to women are extraordinary), I generally think most men look a bit, well, fey when doing so. But I can't imagine life without them. Tell me, where do you wear your Belgians? There's nothing quite like freshly picked strawberries, just minutes out of the farm field where they've been grown and harvested, warm, sun-kissed, plump and juicy, and eaten at the very inflection point of their ripeness, when mere moments later they might be, in fact, overripe. While I am an admirer of the beautiful Driscoll's brand of ruby red, gigantic strawberries astonishingly available throughout the calendar year in many supermarkets (how do they do it? ), there is a very short spell--no more than several weeks--in June when the shelves at the local farm stands near Darlington groan under the weight of the juiciest, plumpest, most delectable, locally grown strawberries imaginable that unmask the hybridized ones in supermarkets for what they truly are: mere cardboard shadows of the "real thing," no matter how pretty they might be. When I eat our locally grown, freshly picked farm stand strawberries in June, I find myself pausing and saying, "Oh, right, that's it. That's what a strawberry really is." This past weekend saw the much-anticipated appearance of strawberries at Holmquest Farms, our favorite nearby farm stand, much to the delight of members of the Darlington household (Pompey included) and our weekend guests. And I must say that this year's bumper crop is one of the best in recent memory, having benefitted from several sultry spells this spring of unseasonably warm and sunny weather. Perfection, thy name is country farm stand strawberry. We bought our first batch of strawberries on Saturday and served them alongside a cloud of heavenly coconut cake at a dinner party we hosted that evening in honor of our visiting house guests, all of us giddy with pleasure, each spoon- and forkful a revelation of joy. After our guests departed Monday morning, Boy consoled himself with another trip to Holmquest Farms to pick up yet another basket of just-picked, luscious strawberries just for us. He said that he felt fortunate that he was able to buy some that morning, since the strawberries were selling out to delighted customers as fast as the farm hands could reload the shelves with their bounty. That evening I prepared and served the strawberries, carefully removing their hulls to preserve as much of their juicy, succulent, and sweet fruit as possible. And we devoured every last one of them, licking our lips and laughing with unbridled pleasure.